PARTY WITH YOUR CREW BEFORE YOU SAY I DO! Move over Vegas. We have a new idea to pitch for a banging celebration before you get hitched— and no it doesn’t involve casinos and aging popstars. Margaritaville Caribbean offers numerous ways to celebrate with your besties before the big day, so get ready for the beach, drinks, rooftop pool parties and the sultry rhythms of reggae and dancehall. Take our quiz to find your perfect party style and get ready to book your Group Event today! 1. What’s the perfect evening in with friends look like to you? 2. What kind of bar can we find you and your friends at on a Friday? 4. It’s Saturday night, how is the crew dressed? 5. When it comes to wedding expenses, what’s most important to you? 6. 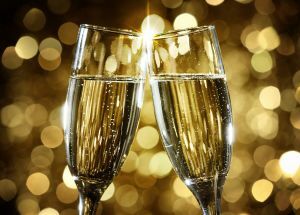 What unique amenity would you like to see at your celebration? 7. 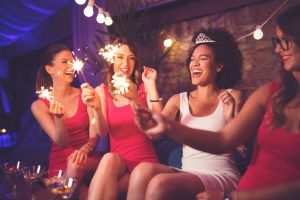 The bachelor/bachelorette party day is already here, how do you plan to end the night? 8. What are your morning after plans? Take off the training wheels, it’s time to really get down! Get the full VIP treatment including your own table and bottle service for you and up to five friends. Enjoy old favorites like Tanqueray and Appleton or take it to the top shelf with a premium liquor package that includes Don Julio Blanco, Grey Goose, Ciroc and more! Add roundtrip transportation aboard the Margaritaville Caribbean Party Bus to make the journey just as fun as the destination, or celebrate an extra special night with a birthday or bachelor/rette upgrade that includes table décor, a personalized keepsake menu, and DJ call outs—all night long. So round up the crew, skip the line, and get down to the Island’s hottest mix of dancehall and live entertainment. Sit back and enjoy an exclusive Caribbean club experience with your besties—and a few new friends. Party like an Island VIP with an all-access Party Pass that includes beverages, soft drinks, and bottle service shared between you and other Party Pass Holders in the Club Ville VIP section. Perfect for smaller-groups looking to strike a balance between a special night out and a social occasion, Sip & Sway is easy on the wallet, but just as hard on the liver. Tonight is going to be—wait for it—LEGENDARY. 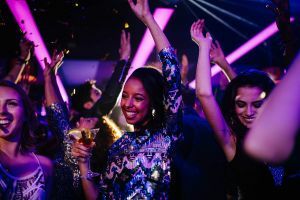 Get treated to a taste of the good life with VIP offerings that include your own table and bottle service for you and up to 10 friends. Throw in roundtrip transportation aboard the Margaritaville Caribbean Party Bus to make the journey just as fun as the destination, or celebrate an extra special night with a birthday or bachelor(ette) upgrade that includes a personalized keepsake menu, table décor, and DJ call outs—all night long. Enjoy old favorites like Tanqueray and Appleton or take it to the top shelf with a premium liquor package that includes Don Julio Blanco, Grey Goose, Ciroc and more. Experience island life on another level with a night in paradise you won’t soon forget—well maybe just a little bit.